[15 June] The Microsoft Origami Experience 2.0 for UMPC is finally here for you to download. Windows Internet Explorer 7. Origami Experience 2.0 requires Internet Explorer 7 for its RSS platform. Windows Media Player 11. Origami Central requires Windows Media Player 11 in order to manage and play media. Microsoft Office Outlook 2007. The calendar tile in Origami Now works only with Office Outlook 2007 Calendar. The mail tile in Origami Now works with Office Outlook 2007 Mail and Windows Mail. The Windows update available here: http://support.microsoft.com/kb/932406 . This update is highly recommended if you use the mail tile in Origami Now with Microsoft Office Outlook 2007. Microsoft Origami Experience 2.0 is distributed in nine languages. Each language version can be installed only on the corresponding language version of Windows Vista. For example, the French language version of Origami Experience 2.0 must be installed on the French language version of Windows Vista. However, any language version of Origami Experience 2.0 can be installed on the English language version of Windows Vista. For detail download instruction, head over to Microsoft download page here. 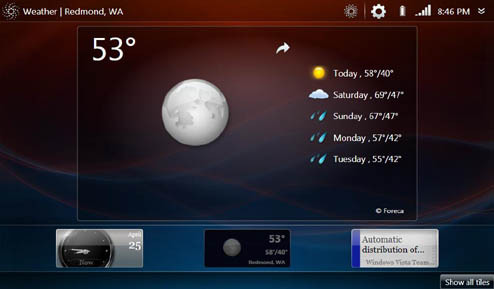 [Updated – 17 June 2008] jkkmobile have the video review out on the Microsoft Origami Experience 2.0, enjoy. 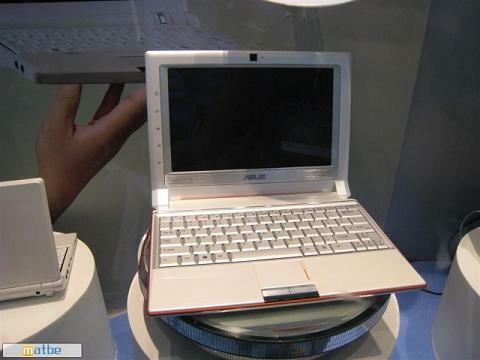 [28 May 2008]This according to UMPC Fever, that ASUS is launching the new 10″ screen Eee PC 1000 at the upcoming Computex 2008 in Taipei, Taiwan. For more info, check out UMPC Fever’s post here. [Updated: 5 June 2008] This is the latest on the ASUS Eee PC 1000 from Daily Tech. “Eee PC 1000 and Eee PC 1000H. The Eee PC 1000 will be available with up to a 40GB SSD while the Eee PC 1000H will be available with up to an 80GB 2.5” 5400RPM HDD. The Eee PC 1000/1000H and Eee PC 901 are all equipped with an Atom processor and include ASUS’s Super Hybrid engine which allows for easy manipulation of CPU speed, CPU voltage, and screen brightness to extend the life of the battery. When running in its most extreme mode, the Super Hybrid Engine can extract 7.8 hours of battery life from the new Eee PCs. The guys over at Akihabaranews got the chance to review the alpha version of the Willcom D4 (Sharp WSO16SH) last week in Tokyo, Japan and it’s looking sweet. Running on Vista, the D4 doesn’t seem as sluggish as most of the other UMPCs in the video. The D4 features a 1.33GHz Centrino Atom Z520 CPU and according to Akihabara, the D4 is one of the first UMPCs on the market using the new CPU; a 40GB HDD, 1GB RAM, a 5″ 1024×600 TFT touchscreen. The D4 measures 84x188x25.9mm and weigh 470g. Click here for the full review. For now, enjoy the video from Akihabaranews below. pocketables posted a thorough write-up on the new version of Microsoft Origami 2.0 which features application such as the Origami Central, Origami Now and Touch Settings. Although there had been quite some flaws to the design to the HTC Shift, the write-up on the first look to the Microsoft Origami 2.0 is definitely worth the read. Link to article here. 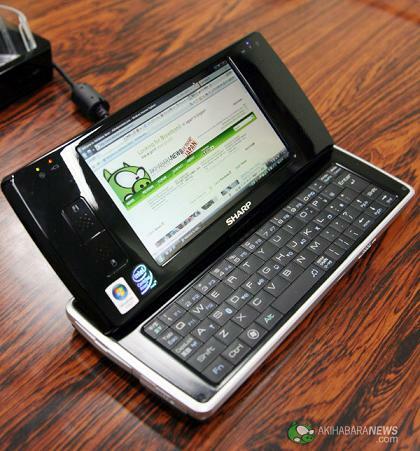 Still want to know more about the ASUS Eee PC 900? jkkmobile just released a 34 minute long video review which is so far the most thorough review on the Eee PC 900, check it out. [14 February ] The second generation of the HTC Advantage have just been announced. Spec wise, it features a Marvell PXA270 624 MHz processor, 16GB of flash memory, 5-inch VGA screen, 3 megapixel camera, 256 MB ROM, 128MB RAM, quad-band GSM, tr-band HSDPA, built-in GPS and a whopping battery of 2,100 mAh. Click here for the product sheet from HTC or here for the full specs from phoneArena.com. No news yet on the pricing but will update it once we hear more. [Updated: 29 April] We’re closer and closer to the release of the HTC Advantage X7510. Mobile01 posted a review (in Chinese, warning: slow loading) with tons of pics of the HTC X7510, link here. Two versions will be launch in Hong Kong and both will be running on the VIA C7M 1.2GHz processor. 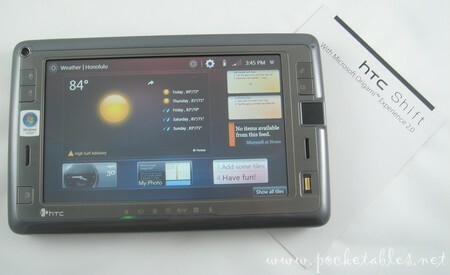 The Linux version will feature 1GB Ram on board together with a 120GB Hdd; price: HK$3,999 (US$513). The Vista version will feature 2GB Ram on board together with a 160GB Hdd; price: HK$4,999 (US$641). Both very interesting video, the comparison on HP’s Vista version and the ASUS Eee PC running on WinXP might bot be the best comparison but nonetheless gives you a vague idea on the booting speed on both different processor. My new entry over at CNET Asia Community Blog is up. This week’s entry, “The ASUS Eee PC 900 Mess”. Click here for the read. The ASUS Eee PC 900 features a 8.9″ active matrix TDT LCD screen with 1024×600 resolution; 1GB DD2 Ram; 20GB SSD and 1.3 mega-pixel camera. My Eee PC 900 runs on Linux and Firefox browser. The whole thing do look small and feels incredibly light at 990g. The wireless connection is slow at disconnecting and connecting but nonetheless still pretty smooth. Retail price at HK$3,998 (US$513), but because of limited stock available at present, prices are up to HK$4,488 in Mongkok Computer Centre and HK$4,688 in Wanchai 168 Computer Centre. As the Windows XP version are not available yet, expect another HK$680 if you want the retailers to install a copy of Windows XP licence for you, that is, if you can’t wait till they formally release it. As for the screen protector, you can get it for around HK$150 (tight fit). Wow, what a trip to Singapore, will do a wrap up on that later tonight. While I was gone, ASUS Hong Kong launched the ASUS Eee PC 900 (Linus version) and the first batch was on sale yesterday. As I got back late last night (around 3:00am), I got a message that mine was ready for pick up today. Okay, some pics for now and I’ll follow up with a more detail review in a few hours. If you have any questions, just post it up here and I’ll include them in the review. [13 April] Following my last post on the ASUS Eee PC 900, we learned that have just hit the FCC and the first unbox pics started surfacing so the launch date is imminent. 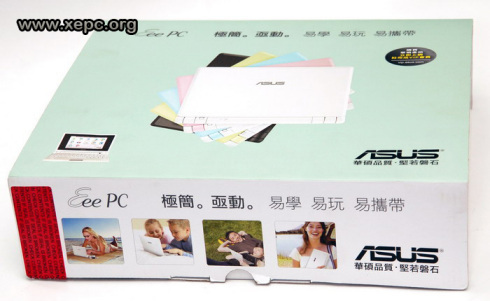 Over the weekend, XEPC.org published the unbox pics of the ASUS Eee PC 900 and if you want to take a first look at it, the link is here. [Updated: 15 April] Added the following video preview of the ASUS Eee PC 900 from PCMarket.com.hk. XP vs Vista, not really a head-to-head comparison but well.